A US Marine Corps. combat veteran, Brian Kam began his involvement in humanitarian work when he was deployed to aid those affected by Hurricane Katrina in 2005. After learning about the Gorkha Earthquake in 2015, Kam found himself in Nepal within one week after the initial quake to assist with the post-disaster relief and reconstruction efforts. After coming back from Nepal, Kam graduated from Syracuse University, Class of 2016, with a B.A. Degree in both International Relations and Middle Eastern Studies. Kam now continues to pursue his dream of helping all underserved communities no matter where they are and no matter how hard it is for him to get to them. Co-founder and Chief Financial Officer, Ryan Brinkerhoff, graduated from Syracuse University in 2016 with a B.A. Degree in Policy Studies with a concentration in Government and Business. 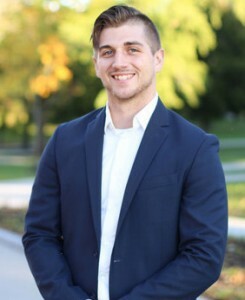 While working at the White House Office of Management and Budget and as a member of a U.S. Trade Representative’s Communication team Brinkerhoff gained the much needed skills and knowledge that would eventually help him become the Chief Financial Officer of Thrive Projects. Graduating with a B.S. Degree in Biology from Syracuse University, Class of 2016, the Cofounder and Chief Operating Officer, Joshua Moon, reached out to Cofounder Brian Kam after Kam’s initial deployment to Nepal. Back on campus the two began recruiting fellow students and began the Thrive nation. With the drive to help the communities across the globe, Moon continues to pursue his medical degree in hopes to lead a future Thrive medical team. 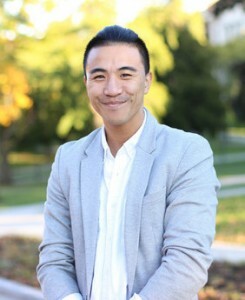 Nepali native, Karma Wangyal Lama, worked 3 years as a sales executive up until the 2012 when he decided to take a different route and volunteered for many NGO’s, including Namaste Nepal. After the Gorkha Earthquake had struck in 2015, Wangyal began helping international relief organizations as a translator; allowing communication between 4 different languages, English, Nepali, Hindi, and Tibetan. 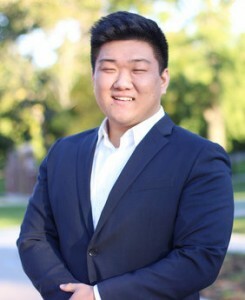 Weeks after the earthquake, cofounder Brian Kam and Wangyal crossed paths which eventually led to Wangyal’s recruitment to Thrive Projects in the Summer of 2016. 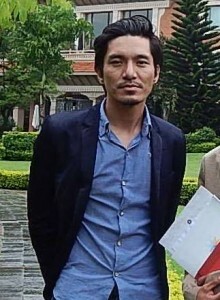 As the acting team leader of the in country team, Wangyal has aided in the growth of Thrive’s presence in Nepal. As of 2017, Karma Wangyal Lama has been proudly named the President of the newly registered international branch, Thrive Nepal.